Our end of year Mini Concerts are a special opportunity for your children to experience performing in front of an audience in an age-appropriate, non threatening & positive environment with the support of their teachers, family and friends. It’s going to be a wonderful week celebrating a fabulous year and all that your children have achieved. Each Mini Concert is held in the Theatre building on the grounds of C3 Church (just follow the pink arrows & balloons!). 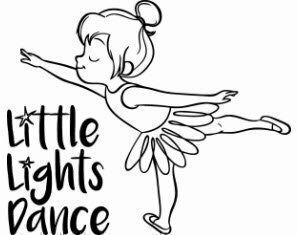 Make sure you follow us on Instagram, and use #lldshowcase and #littlelightsdance to see the super cute pics of the week! Please arrive with plenty of time to take your child to the toilet, take a few photos on our photo wall and find your seat in the allocated seating area. Arriving late is disruptive for our class flow and can overwhelm your little dancer walking into a large dance space with lots of people watching! We would ask that if siblings are watching and become restless or distracting to the dancers that you please leave the theatre and return when they have settled. Please do not let siblings dance with your child during the performance. It is important to be aware that some children find performing in front of a large audience a little overwhelming especially dancing in a different space. They may decide they don’t want to participate and may prefer to just sit and watch. This is completely normal and expected with some children at this age/developmental stage. Please know that we are here to make this experience as fun and enjoyable for all children and we will do our best to support your child through this new experience. Photography and videoing is allowed during the Mini Concert but we would please ask that if you are posting/sharing any photos or videos on social media that you check first with the parents of the children that are in any of your photos/videos. If you’re happy for us to view and share any photos of your child, we have 2 hastags #lldshowcase and #littlelightsdance that you can use on Instagram or Facebook when sharing photos so we can all see the super cute pics of the week.